Armenia has been little-studied genetically, even though it is situated in an important area with respect to theories of ancient Middle Eastern population expansion and the spread of Indo-European languages. 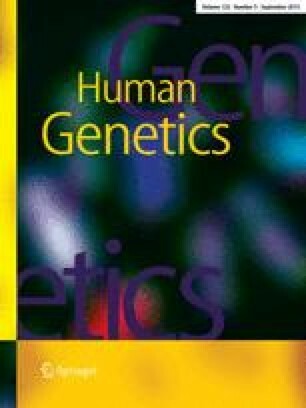 We screened 734 Armenian males for 11 biallelic and 6 microsatellite Y chromosome markers, segregated them according to paternal grandparental region of birth within or close to Armenia, and compared them with data from other population samples. We found significant regional stratification, on a level greater than that found in some comparisons between different ethno-national identities. A diasporan Armenian sub-sample (collected in London) was not sufficient to describe this stratified haplotype distribution adequately, warning against the use of such samples as surrogates for the non-diasporan population in future studies. The haplotype distribution and pattern of genetic distances suggest a high degree of genetic isolation in the mountainous southern and eastern regions, while in the northern, central and western regions there has been greater admixture with populations from neighbouring Middle Eastern countries. Georgia, to the north of Armenia, also appears genetically more distinct, suggesting that in the past Trans-Caucasia may have acted as a genetic barrier. A Bayesian full-likelihood analysis of the Armenian sample yields a mean estimate for the start of population growth of 4.8 thousand years ago (95% credible interval: 2.0–11.1), consistent with the onset of Neolithic farming. The more isolated southern and eastern regions have high frequencies of a microsatellite defined cluster within haplogroup 1 that is centred on a modal haplotype one step removed from the Atlantic Modal Haplotype, the centre of a cluster found at high frequencies in England, Friesland and Atlantic populations, and which may represent a remnant paternal signal of a Paleolithic migration event.